Do motorcycle theft and ULEZ pose a serious threat to London’s motorcycle industry? The closing of London’s largest independent motorcycle dealer, Metropolis, could be a sign that the capital’s motorcycle industry is in serious trouble. We talk to London’s motorcycle businesses about their future and find theft and legislation are only part of the problem. 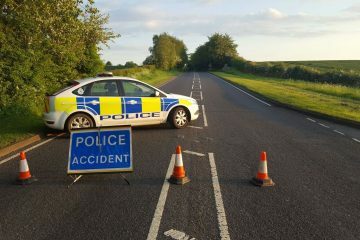 This is meant to be a heyday of motorcycling. A huge volume of quality bikes in showrooms, great kit to wear, and better technology and infrastructure giving us access to the greatest roads at home and on the Continent. We should have seen an explosion in new riders and sales. And yet the opposite is true, with dealers struggling to hit targets and many businesses facing an uncertain future. 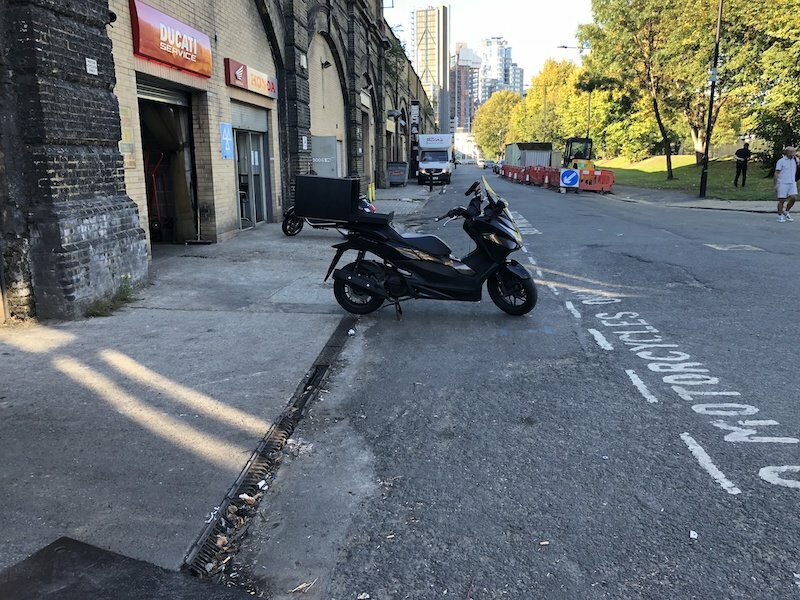 Although this is a story about London and its struggles to maintain a healthy motorcycling culture, it’s often said that what happens in London soon finds its way to the rest of the country. Worryingly, there are already signs this is happening and if we are not careful we could see the whole of motorcycling in the UK affected by the same disease that is affecting the capital. London motorcycling is a very sick patient right now. The disease is motorcycle theft, with secondary complications caused by the increasing cost of insurance. 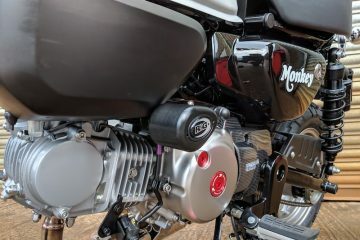 To make matters worse, outside factors – over which the motorcycling industry has little to no control – are making the possibility of a full recovery doubtful – unless there are some significant changes. 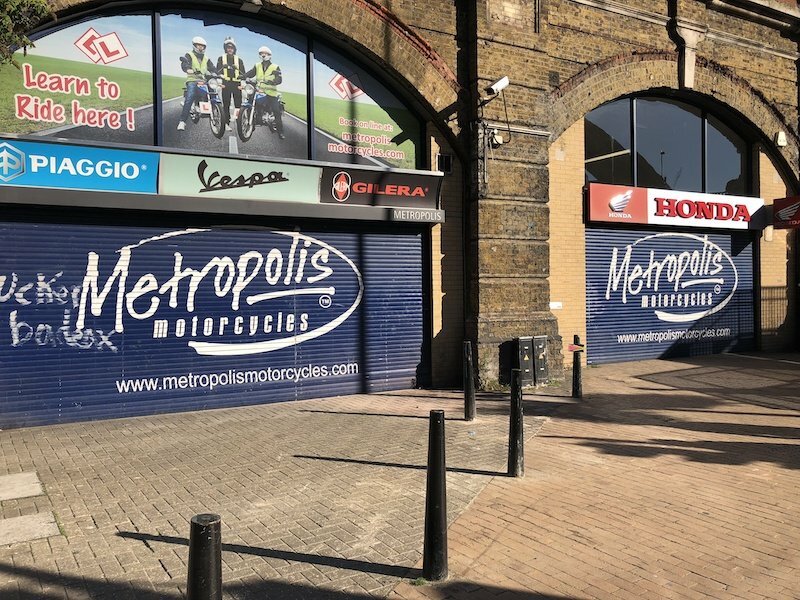 So let’s start with the death of Metropolis Motorcycles, a once thriving independent motorcycle, London’s largest independent in fact. In what could be seen as a ‘perfect storm’ the failure of Metropolis is not down to a single cause. Multiple factors led to dealership’s closure, the main one being a huge rent increase by its landlord, Network Rail. Metropolis tried to fight the increase in the courts but ultimately lost, leaving the business with a demand for £250,000. On top of this the Government’s rates revaluation hit the business very hard – an issue that is having a serious impact on many retail businesses, not just motorcycling. 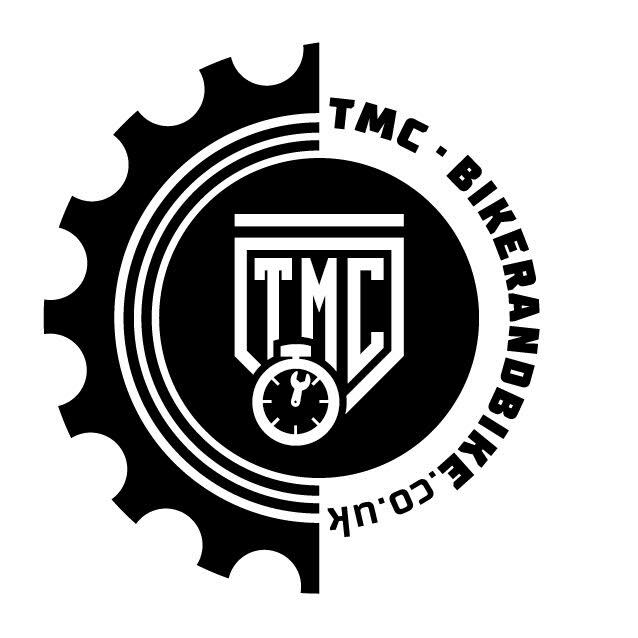 Metropolis also lost its motorcycle training business, a vital supply line of new riders buying bikes and clothing, when licensing inspectors discovered riders were being taught CBT lessons on public roads instead of private property. Having lost access to its regular training facility, the staff running the training business could not find an alternative venue in the crowded streets around the dealership’s Vauxhall base. Staff and customers are no longer to be seen at Metropolis, as the last of the stock is sold off and workshops cleared out. But aside from the rent and rates issue, the factor that dealt the fatal blow to Metropolis was the impact of the staggering amount of motorcycle theft in London, at one point over 17,000 vehicles a year. The issue is that sales fall through because customers cannot get insurance because London is considered so high a risk. Only four companies are now prepared to insure riders with a London postcode. Salespeople we have spoken to across the capital report a serious number of sales that fall through once the customer has had an insurance quote, way more than has been traditional in the past. 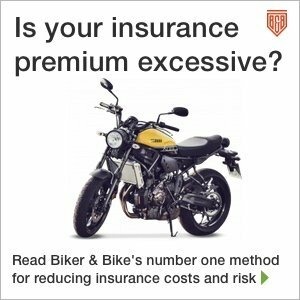 It has reached the point where one salesman we spoke to knows that certain bikes in the Triumph range are practically uninsurable for some riders, so he doesn’t bother to take a deposit until the buyer confirms they have an affordable insurance quote. He’s had to manage the business very carefully, but even then he couldn’t avoid having to close one dealership, that had been trading successfully for 12 years. It closed because of rising rents. “When we took the showroom on the rent was £75,000. Now that same unit is £200,000.” There will also have been the impact of the rates evaluation to contend with, another factor that is a serious issue for all businesses, and was undoubtedly a factor in Metropolis closing. 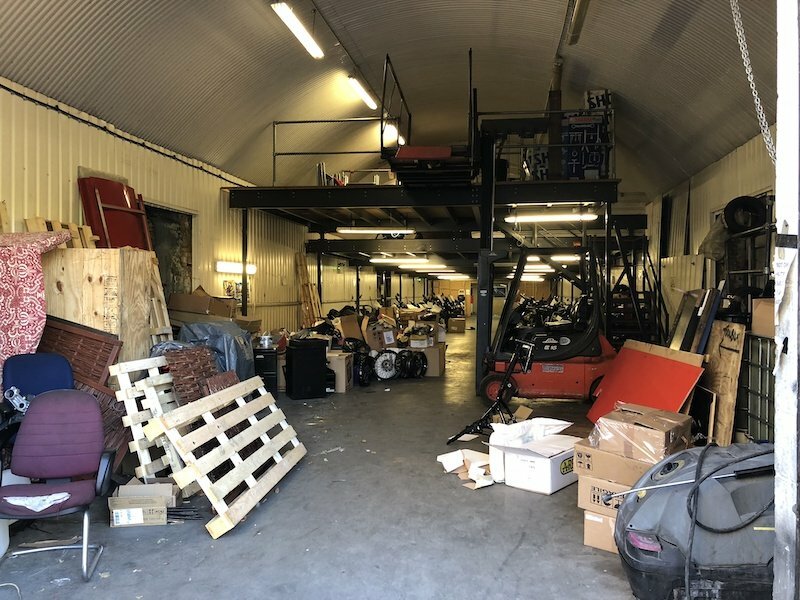 If you are a small independent motorcycle garage in London right now you are almost certainly having to display Zen-like levels of calm in the face of a rising tide of panic. It’s a trap many London motorcyclists are going to fall into but even if they buy a bike that is Euro 3, there are no guarantee garages like Matthews can survive and be around to look after them. “Business property rates are now ridiculous,” says Matthew, “But rents are going the same way. I heard about Metropolis’s rent but it’s also happening here.” This is a reference to the increasing gentrification of formerly working class areas – you can see a visible ripple of posh cafes, coffee shops and even dressmakers working their way along Essex Road. Rising rents are forcing less upmarket businesses out. “If the landlord tries to put the rent up I’ll just give him the keys back,” says Matthew before he returns to working on an old Honda NTV. Matthew is not alone. 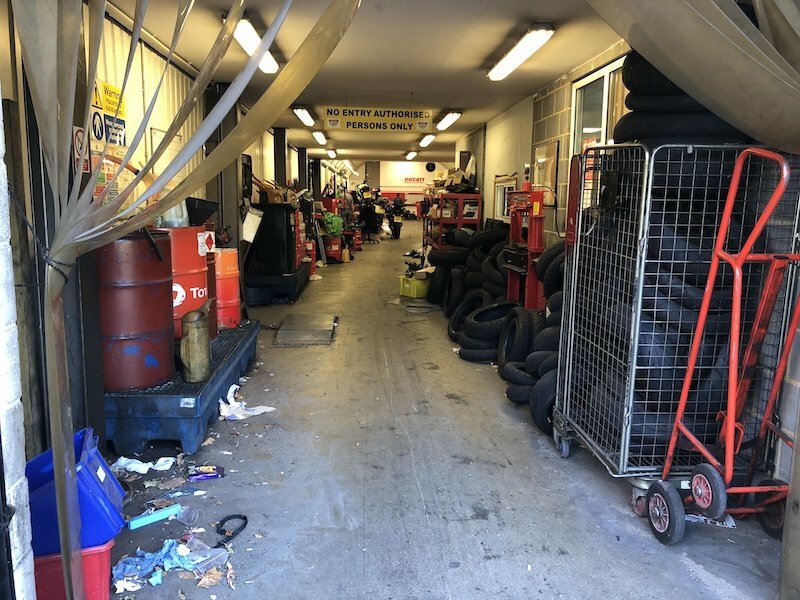 I spoke to a number of small garages and mechanics, and they all share the same fears about the impact of rising rents and also what will happen after ULEZ is introduced across the whole of inner London in 2021. Making sure motorcycling is still accessible to less well-off bikers is a passion of Dutch Van Someren, the boss at The Bike Shed store, restaurant and custom show and also a co-founder of We Ride London, a group of rider activists battling to keep motorcycling safe and affordable in the capital. He is very concerned about the impact of ULEZ. “Firstly, low-paid workers and those in the public services, especially those who work unsociable hours, often use old motorcycles and scooters to get around. The ULEZ makes their vehicles worthless, so they will have to ditch their machines and upgrade to new bikes. This is wasteful and expensive. Where do these old scooters go? Landfill sites, and think of the wastage in natural resources buying unnecessary new products. This will also hit all the motorcycle and scooter businesses that have serviced all these vehicles for decades. Should the police be charged? Outside of increasing rents and rates, the real issue in London motorcycling is theft. While police may be getting to grips with headline-grabbing moped muggers, there is no sign that motorcycle theft by organised criminal gangs is abating. Motorcycles are still too easy to steal straight off the streets and there is little to no chance of thieves being caught in the act by a severely depleted stock of patrolling police officers. It sounds ridiculous, doesn’t it? 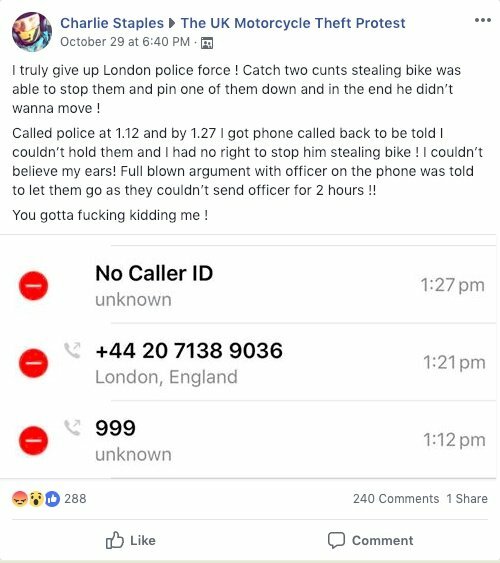 But it doesn’t take long surfing through the explosion of motorcycle theft-related posts in the multiple social media groups that have sprung up to realise bike theft is not a priority for the Met police. Post after post describes how the most you can expect is often just a crime number read down the phone, so you can make an insurance claim. The current situation is that under-resourced police forces can’t cope with the level of motorcycle-related crime or they just ignore it to focus on what they consider more serious crimes. Or at least ones that don’t reach the front pages of the Daily Mail or 10 pm news. Is there a future for London motorcycling? An entire industry is not going to go down the pan, no matter how much the lycra-clad cycle Nazis at TfL want it to happen. Ironically, a former salesman at Metropolis told me that there were signs sales were starting to pick up in the last month before the businesses folded, but not enough to save the dealership. Motoden has also seen a pick up in recent months. It’s arguable that the motorcycle industry itself needs to do more. One story I came across featured a CEO from a major motorcycle brand literally shouting at a dealer principle over his poor sales figures. When the dealership boss pointed out there was a crime epidemic happening in London, the CEO turned to his regional rep who sheepishly told him it was true. The news stunned the motorcycle executive into silence. That someone so senior in the industry was so unaware of the situation in London is worrying, yet attempts by industry to work with the Mayor of London’s office has led to zero action. Bikers also have a role to play. One of the salespeople I spoke to in a dealership told me most of the people he sells to are unaware of just how easily their bike can be stolen, but that it is still a struggle to get customers to invest in decent security. If you want to reduce theft, increase your security. 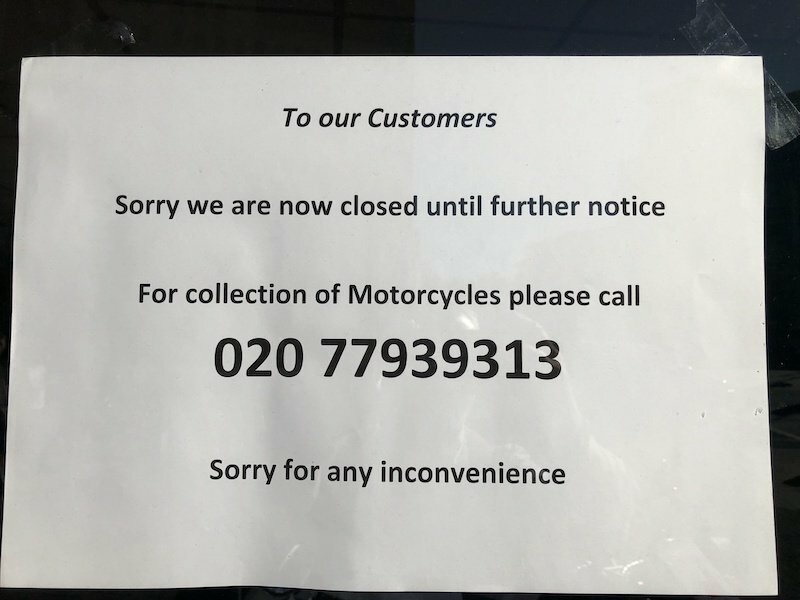 There is no doubt that motorcycle businesses in London are currently struggling. Other cities in the UK also struggle with bike theft – and its associated insurance problem – and their local motorcycle industries may be suffering too. There are other issues aside from theft that are affecting the whole industry – the fact that it can cost the best part of £1,000 to pass your motorcycle test being of the most significant problems facing UK motorcycling. But when, not if we pull through, the future is going to very different. I agree with Motoden’s George Dennison that electric bikes are going to have a big impact – the first bikes with removable rechargeable battery packs are starting to appear, a critical hurdle for people who can’t charge bikes by the side of their home. Electric bikes may be harder to steal – or at least harder to strip down for valuable parts – in the future too. They may not be cheap to buy right now, but prices will come down and they will be cheap to use and will have less of an impact on London’s highly polluted air. If bikers want to ride them. In the meantime, there is still a local industry and its customers that need more support. This needs to come from Government (it’s rumoured that the 17% increase in high street closures may force the Treasury into rethinking the rating system); from a so-far anti-motorcycle Mayor; from the police; and last-but-not-least the motorcycle and motorcycle insurance industries. This latter industry really needs to get its act together. Let’s get the thieves off the streets, let’s get a fairer deal over ULEZ and insurance and let’s see a serious effort made to help high street and other retail businesses. Then we can look forward to a better future for the industry that supports our passion. 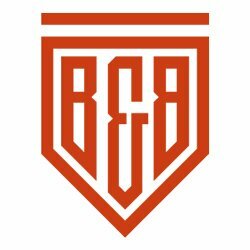 On a personal note, I want to say how gutted we all are at Biker & Bike for everyone at Metropolis, especially the owner Ian, who we know had been working tirelessly to try and save the business he has built up so successfully over 25 years, only to see it taken away from him and his staff. To Ian and all of the Metropolis staff, some of whom we know personally, we wish you luck in finding new roles at a tough time for London motorcycling. We Ride London organises a number of activities and works tirelessly behind the scenes to improve motorcycling in London. They always need your support. 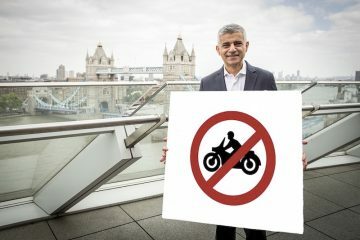 The Motorcycle Action Group, MAG also has a very active team working on London’s behalf and hold regular meetings on how to tackle issues affecting motorcyclists in London and the surrounding region.